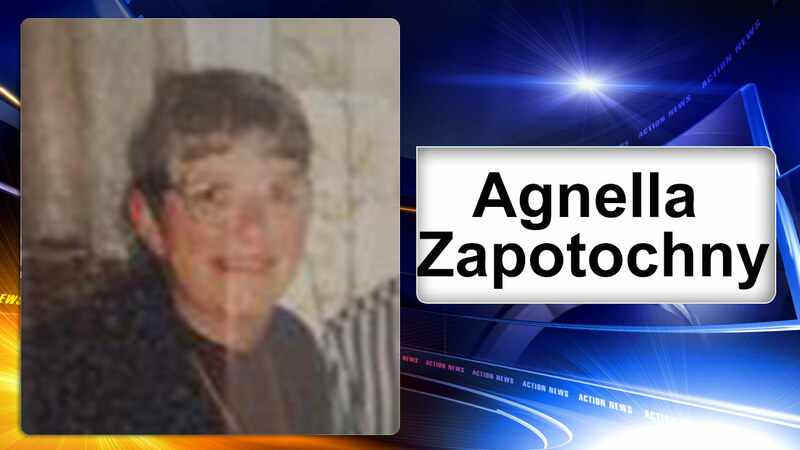 MOORESTOWN, N.J. (WPVI) -- Police are searching for an endangered elderly woman who went missing from Moorestown, Burlington County. They 84-year-old Agnella Zapotochny suffers from dementia. She was last seen around 3:30 p.m. Wednesday at her home on the unit block of Cottage Avenue. Zapotochny is described as 5"5" tall, 150 lbs. She was last seen wearing a navy blue shirt with "Cape May" light and blue pants with a white stripe. She often mentions she wants to go home that was previously in the 3400 block of Ormes St. in Philadelphia. If located, please contact Moorestown Police at 856-234-8300.